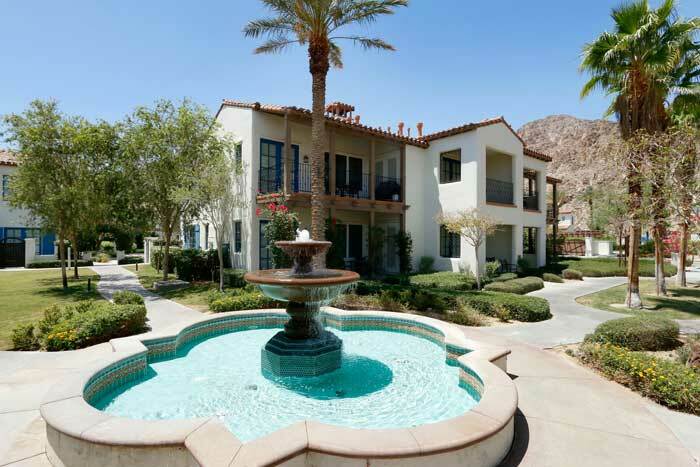 Our Sheri Dettman & Associates marketing team was onsite at Legacy Villas in La Quinta this week. If you’re not familiar with Legacy Villas, it’s a popular resort lifestyle community featuring two to three bedroom condos (called Villas) and both single and dual level townhomes. We originally sold this Condo located at 77781 Tradition Drive in ’07. I like the location near the back of the Legacy community. You'll find this to be one of the most private locations within Legacy Villas. The two balconies have great views of the nearby mountains. One of the community pools is located just across the street. Our production assistant, photographer and video crew were at Legacy to shoot our newest Legacy Villas Condo For Sale. While there, they updated our Legacy Villas video tour with new footage. It was a beautiful sunny day at Legacy with temps of about 83º F. You'll find the video at the bottom of this article. Condo and townhome resale units are a great way to enjoy the Palm Springs desert lifestyle for people looking for a lock and leave experience. Most everything is taken care of for Legacy owners. And if you don’t want to do anything you can take advantage of optional cleaning services to handle the inside chores for you. In addition to the 14 community pools, you'll have access to the fitness center, the expansive clubhouse, and one of my personal favorites; the hammocks strung between several palm trees. The condos at Legacy are unique for rentals in that each of the one to three bedrooms can be locked off from the others, and they each have private entry doors. Some owners choose to lock off their master suite, leaving the other bedroom(s), great room and kitchen for renters or their guests to enjoy. Legacy townhomes are larger than condos and offer a bit more privacy. Unlike condos, townhomes don’t have the lock off feature, but are very popular for vacation rentals. If you’re considering making an investment in a vacation lifestyle condo or townhome, you’ll want to consider Legacy Villas. Over the years, our Sheri Dettman & Associates team of specialists has helped dozens of buyer and sellers at Legacy. We know the community and the inventory well. So please don’t hesitate to contact us for more information or to arrange your visit to Legacy Villas.